This is my first pair of bike shoes and I am very happy with them. Awesome shoe! Really cool looking, and extremely comfortable. Great for hiking up the steep sections (which I admit to). I think the buckle is great. Easy and quick to adjust on the go, and I don't feel it loosening up at all. It's hard shopping for shoes online, but I was confident that Western Bike Works would take back my shoe if it didn't fit. I didn't have to do that, because it fit perfectly! I was so excited to find a shoe that was regularly pretty expensive, at such a cheap price! Way better than the deal that REI was offering. Comfortable and looks good...Fits small, I bought one size up. This is my first pair of clip shoes of any kind. They have vents in the front of the shoes that keep the feet cool when riding. On a cold day, my toes get cold though. I bought the white ones, they look great. I usually wear a size 8 in shoes but had to buy a size 40 (size 9) in these. They fit my feet well. My feet are not very wide. It looks like Giro would recommend a size 39.5 or 40 for someone who usually fits a women's size 8. When in doubt check the size chart and call or email us if you have any questions. Glad you like the shoes! If you need a bit more warmth on a cold day you may want to try these with Pearl Izumi Elite Thermal Toe Covers. Shoe is too small for me. I returned this product because it was too narrow for me. At this time, I wasn't able to find another shoe that would fit my small foot. Thanks for trying. Outstanding Shoe, A bit smaller than size, Easy on Easy off, GREAT protective toe! Apr 2012 I am training for the STP in July, so I am cranking up my miles and hill work. I wanted to 'break in' my shoes at the beginning of the training. I wear a size 4.5 MED width ladies shoe, so I bought a size 36 and it fits like a glove! I am terrible at damaging the toe in my shoes, so I love the extra coverage on the toe and sides of this shoe. Even though this is basically a white shoe, it is easy to wipe off and clean. 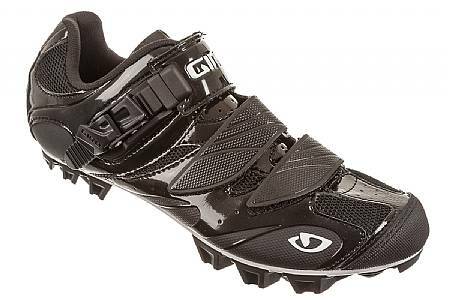 The quick release and ability to tighten with just a click just adds to the features of this shoe!For an MTB shoe, it looks sleek and more like a road bike shoe, NOT clunky yet easy to walk about off the bike. I highly recommend this shoe!